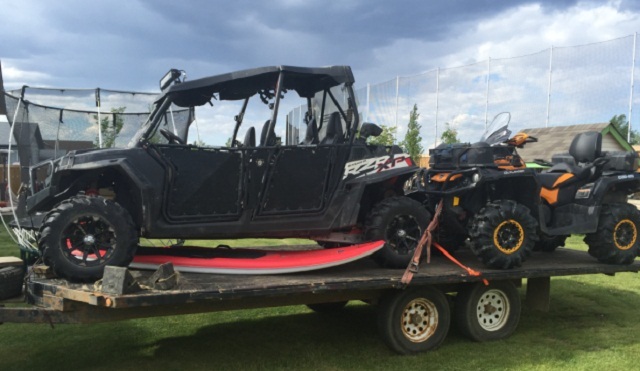 A family who fled to Calgary after a huge fire suddenly found themselves missing their ATVs. 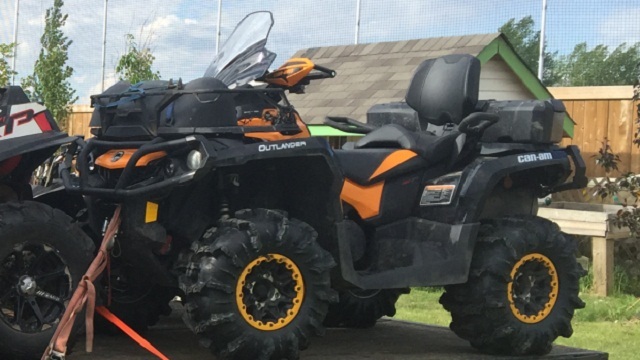 Police were able to recover one of stolen ATVs in Fort McMurray. Outdoor enthusiasts were asked to keep an eye out for the other two. Mills was working north of Fort McMurray when residents were ordered to evacuate last month due to a nearing forest fire. He, his wife Shelly, and their two children went to Edmonton but were not able to find a suitable rental in the area, so they continued on south to Calgary, eventually landing in the northwest community of Nolan Hill, where they found a fully furnished home. When residents were finally allowed back into Fort McMurray, Mills went to get more clothes and other essentials and decided to bring his trailer south, with three of the family ATVs, including a Polaris RZR, which together cost around $50,000. Mills even bought with him a heavy-duty lock for the trailer, which he left parked in an alley behind the house. However, while waiting in line to file a claim on the lost vehicles, he got a call from the RCMP saying that his RZR had been recovered from a field on the corner of Symons Valley Road and Township Road 254. After paying a $380 bill to get the machine out of the impound lot, a tow truck driver told him where it was found, and he and his son Carter went to have a look for themselves of the stolen ATV in Fort McMurray. When they arrived, Carter spotted the trailer, which had also been ditched in the same field. 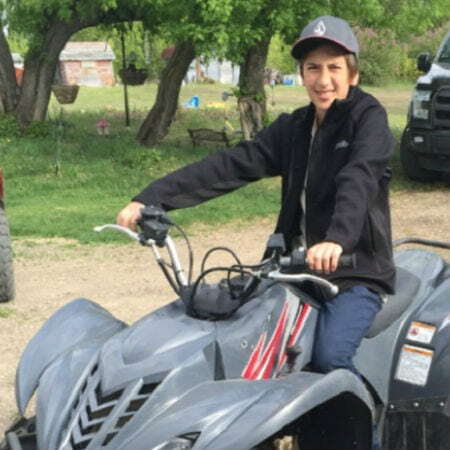 The two other ATVs, one of which was bought for Carter in May as a gift for completing grade 7, remain missing. In an assessment, Mills said that his RZR is missing $4,000 in accessories, and the two other ATVS were valued at about $21,000. Unfortunately, due to misplaced paperwork, Mills said that the insurance may not cover the loss. But had his stolen ATV in Fort McMurray been equipped with a real-time GPS tracker for vehicles, he would have found it sooner as the GPS device will let him know its exact location. But despite the theft, he still believed that the experience in Calgary had been a positive one.